On the eve of Valentine’s Day, it is only appropriate to look at Paris – the city celebrated as the most romantic capital in the world. Paris has always had a great pull for tourists and this is perhaps the reason why in the past 10 years it has ranked in the list of the most expensive cities in the world. Getting to Paris from London can be done in less than 3 hours on the EuroStar but speed and comfort can be pricey. Luckily enough for those of us on a budget and with some extra spare time, there’s Megabus (https://www.megabus.com/). If you book really early, you can get a mega deal of a £1 fare and 50p booking fee. If you are a bit more spontaneous and book closer to your trip, you can do a return trip to Paris for £ 60. The journey lasts approximately 8 hours and it takes you straight to the heart of Paris. The Eiffel Tower is 30 min walk from the coach station and Arc de Triumph is only 15 min away. The coach stops twice so it breaks up the journey and if you have a good book at hand, you won’t even notice how time has passed. You are in a city of endless history and culture. There is so much to be seen and done that you will hardly spend any time in your room. All you need is a place to sleep and recharge your batteries. There is no point in forking out on a luxury hotel room. I myself can’t do hostels as I need my private space so I opted for Airbnb (https://www.airbnb.com/). I rented a whole 2 bedroom flat for 3 days for £195. It was not the cheapest place but I booked it really late and the flat was for 3 people so my share was £65 for 3 nights. Not bad at all considering the late booking. But there are better deals on Airbnb not to be missed. You can do much cheaper than what I did. Walking around Paris is the best way to get to know the capital. But what do you do when nature calls? There are public toilets around the capital usually outside the main tourist attractions that are free of charge. But if you don’t fancy answering the call of nature in portable toilets, then McDonalds is your safest option. Mind you, most other cafes, restaurants and pubs charge extra for the use of toilet. There are two ways to conquer the iconic symbol of Paris – walking the stairs or taking the lift. Going to the top by lift is €15. You can stop at Level 2 and then proceed to the top. If climbing 702 steps to Level 2 sounds like your thing, then the bargain price of €5 is for you. There are glass floor areas there that can give you the same adrenaline rush that you get from taking the lift to the very top. But if you insist on going all the way up, you can buy tickets for the lift from Level 2. Admission to the Louvre is €15. But if you plan your trip between October and March, access to the museum is free for all visitors on the first Sunday of each month. Furthermore, on Friday evenings from 6 p.m. to 9:45 p.m., admission to the permanent collections is free for under-26s regardless of nationality. The Gothic cathedral is one of the must-sees in Paris. You can get inside for free but if you want to climb the steps to the top of the towers, it will cost you €8.50. Under 18s and EU nationals 18-25 go for free. Montmartre is the most famous hill in Paris as artists like Picasso, Salvador Dali and Claude Monet among others used to work in the area in the beginning of the 20th century. The hill has a very village-like atmosphere with its little quaint cafes and artists selling their art on the streets. The landmark of the area is Sacré-Coeur Basilica. You can go in for free and listen to one of the services held there. Yoga classes are fun. 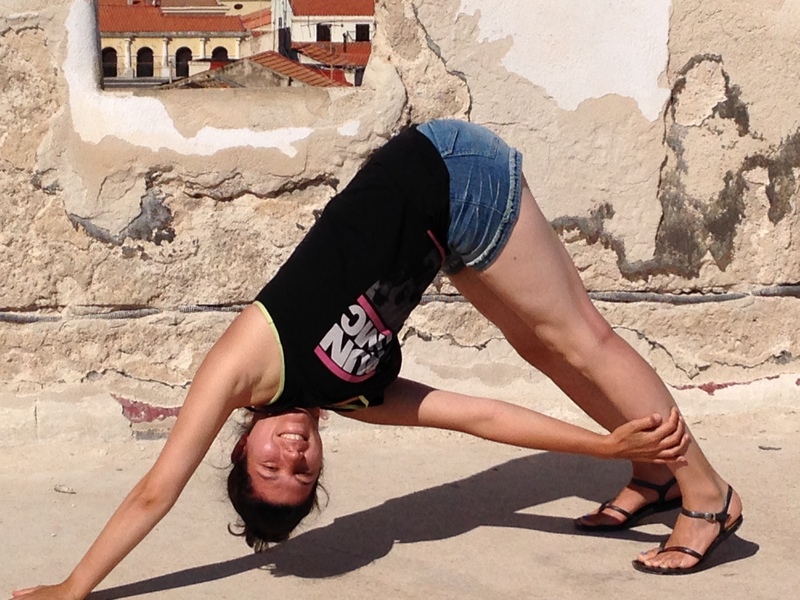 You learn new asanas with like-minded people and you don’t have to worry about doing something wrong. Your yoga teacher is always there to align you and help you prevent injuries. But let’s face it – how many of us can afford to go to more than two yoga classes per week? Life often gets in the way and we can’t always make it to the mat. Does this mean we should limit our practice to public classes only? Of course not. 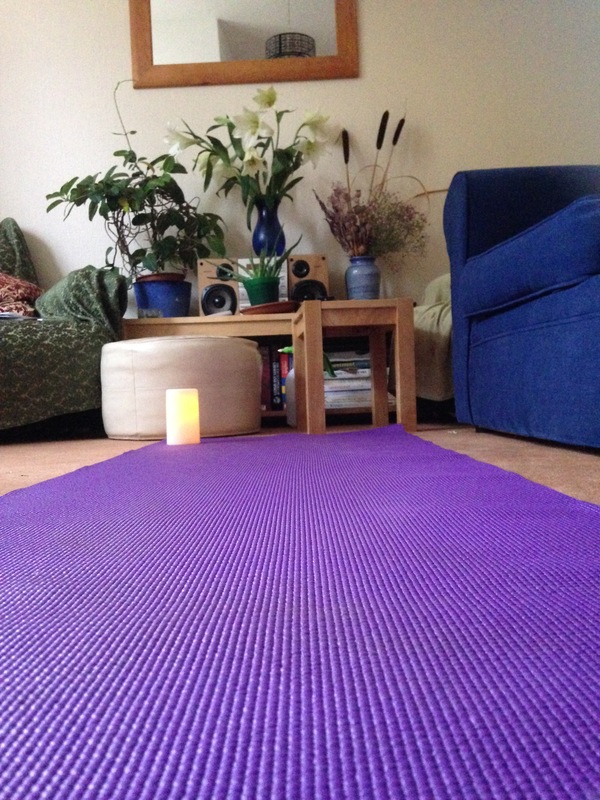 The real yogic journey begins with the home practice. Home practice allows you to get creative and make your very own sequence. At home you are relaxed, not rushed and more in tune with your body. You are ready to listen to its needs and wants as there are no external pressures and expectations. There is no one urging you to push your limit, give it another go or ease back a bit. You are in charge and you can focus on the things that matter to you. You let go of the routine and the fear of embarrassment (there is no one to see you falling over at home) and you venture into YOUR asanas, YOUR practice. You are free to do whatever you like which is both terrifying and exciting. It is terrifying because you make all the decisions and you take all the responsibility. You set the pace, you do the sequencing, you decide how long you hold the poses, you choose the music. Basically you are the boss and you need to find the time and discipline to come to the mat every day. You need to read, research and ask questions to find your own truth. It is scary to make all the decisions and take all the responsibility but it is also empowering to embrace the freedom, experiment and do only what feels good to you and your body. It is at home that you manage to consolidate and put into practice all the knowledge your teachers have given you. Without our teachers we are lost. We cannot start a home practice without a good foundation that only a good teacher can help us build. A good teacher will inspire and encourage you to try out at home everything you have learned at class and maybe explore a bit further. By starting your home practice, you will become more disciplined, you will be more attentive at your public classes, you will ask questions, you will learn and grow. Home practice improves your practice and sharpens your mind. All of my big yoga breakthroughs happened at home. It was in my tiny room that I turned my world upside down in my first headstand. It was in my living room that I took my first triumphant flight in crow. The yoga magic happens at home. Only there is no magic. Just love, hard work and dedication. I have tried tennis, dancing, running, swimming, cycling and a lot of other sports. Some I have enjoyed, others not so much, but none of these got under my skin. None of these sports made me come back to them. They didn’t challenge me enough or they caused way too many injuries or they were too repetitive or monotonous. I wanted to keep fit but I refused to go to the gym and I didn’t want to engage in any of the above mentioned sports for too long simply because I didn’t see any point in running or cycling or swimming for hours. It was too plain boring. Tennis was too competitive for me. So nothing seemed right. Until one Sunday morning when I decided to try out something different. 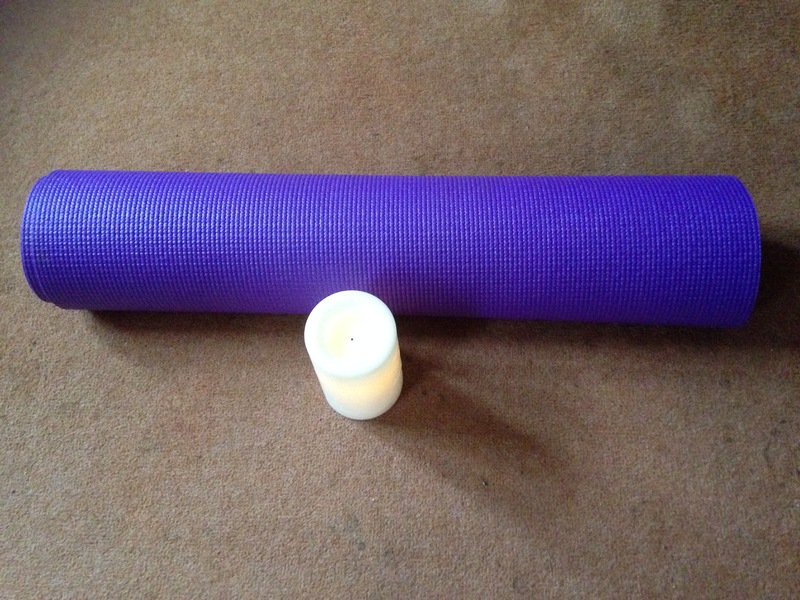 That was the day when I swapped the lazy lie-ins for an hour of moving meditation or as we call it YOGA. My first class was scary. I had no idea what downward facing dog should look like, what was chaturanga dandasana or savasana. All these foreign-sounding words confused my brain and definitely challenged my body. The teacher was giving out one Sanskrit instruction after another and everyone seemed to understand what she was saying. Everyone but me. I was trying to copy the positions that the other yogis were doing almost to perfection but to no avail. My body felt so stiff, you would have thought I had never done any exercise in my life!!! But the yogis looked so graceful and calm that I was determined to last to the end of the class. I felt that every single part of my body had been worked and I loved the total relaxation at the end of the class. I loved that it didn’t feel like just an exercise class, it felt like a community where all members are united by their love for yoga. I wanted to be part of it. 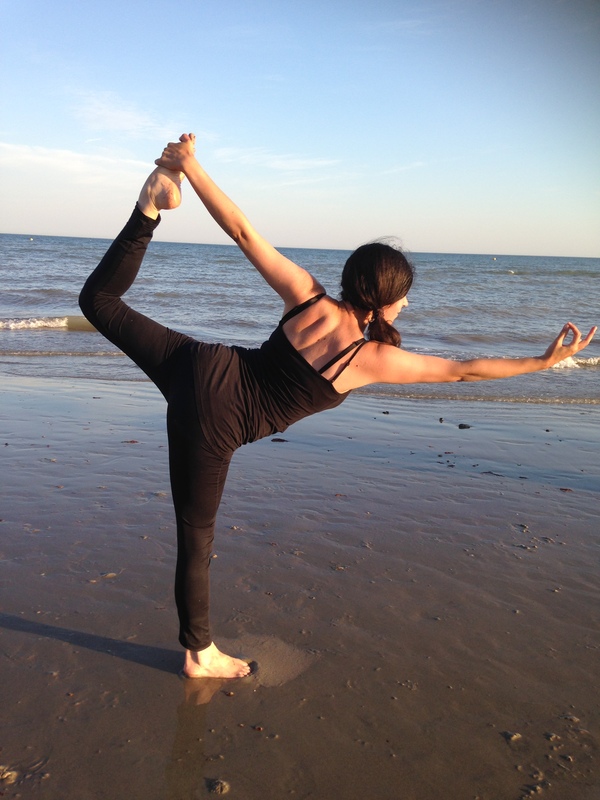 I wanted to be part of the beautiful, bendy, graceful, elegant, super strong and focused yogis that came to this class. And I am now. Maybe slightly less elegant and graceful and still working on my strength and bendiness. Yoga is a journey, it is not a destination. It is not about the crazy asanas, it is not about who is bendier or more flexible, it is not about competing with others or yourself. It is about finding some inner calm and peace, it is about tuning in with your body and learning to listen to it, it is about facing your fears, appreciating the present moment, quieting the mind and releasing the built-up stress. But above everything else, it teaches you to accept yourself the way you are, that you are enough. 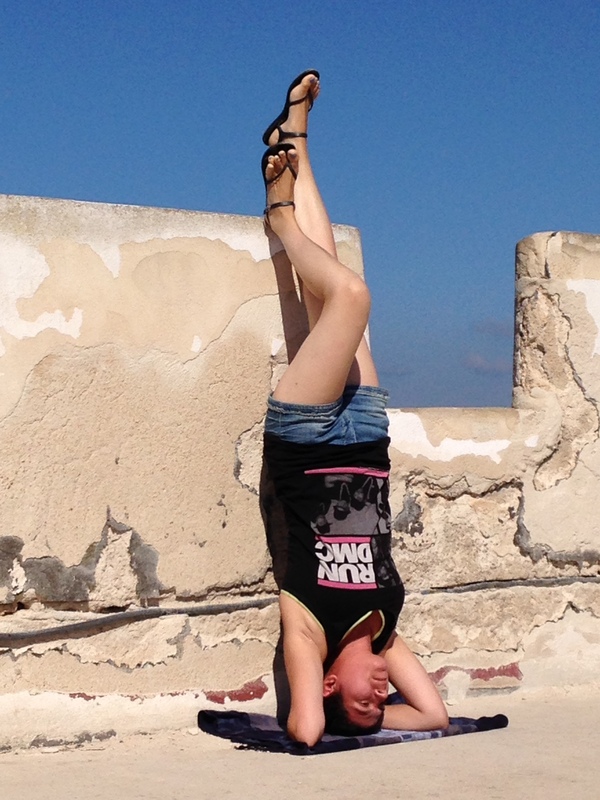 Just chilling in a Headstand Variation! Yoga does not place crazy demands on you, it does not put pressure and it does not rush you to do anything. It is not goal oriented. And this is its greatest appeal to me. This is what gets me on the mat every day. This is what makes me get up at 7am on a Sunday to go to my Vinyasa Class. The all-accepting nature of yoga has been bringing me on the mat for the last 2 years. It makes me happy, more focused and more appreciative of what I have in my life. Being fit and healthy is just a bonus! That’s why I would choose yoga over any other sport. Because yoga is not just a sport. It offers so much more. Also attempting crazy headstands and backbends is great fun and makes for really cool Instagram photos! 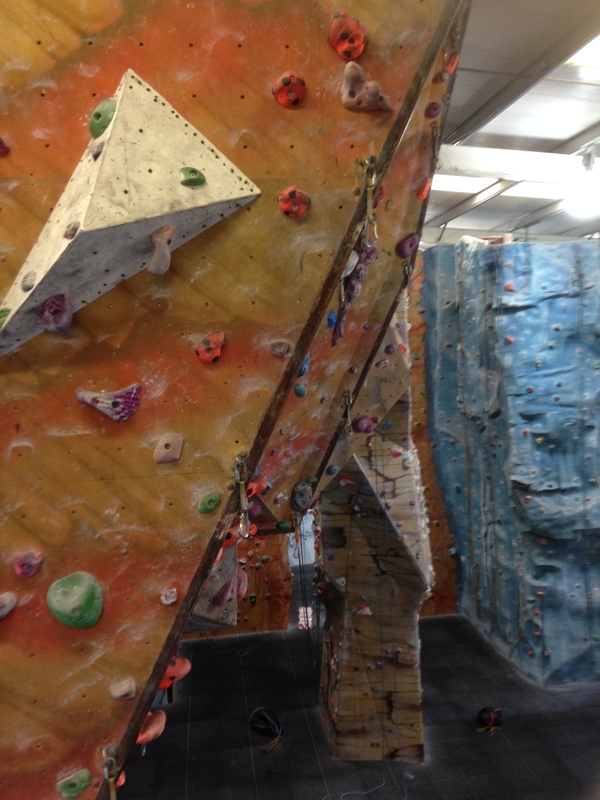 If you want to work your core, strengthen your arms and legs, improve your balance and have an amazing fun at the same time, then indoor climbing might be just the thing for you. Hidden in the industrial part of Guildford, Craggy Island is a climbing heaven for both experienced and new climbers. Well hidden behind some store chains, the climbing centre does not rely on clear signposts, attractiveness of location or tacky advertising to get the customers coming. What serves as a magnet for climbers is the truly amazing setup of the place. It appeals with its professionalism on all levels from equipment to customer service. You feel you are in safe hands. 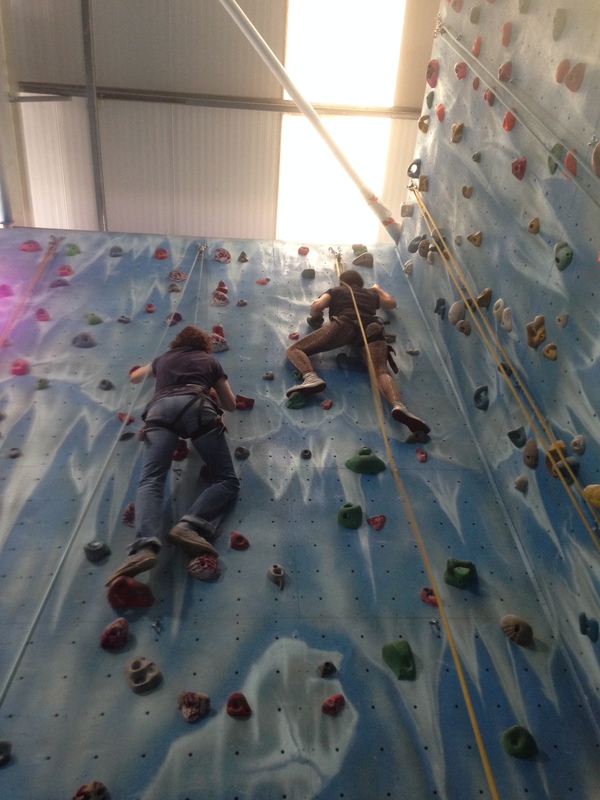 You will be taken care of by the experts in indoor climbing. Once my group and I stepped inside, we were surrounded by towering climbing walls of different heights all studded with ropes and colourful holds marking potential routes for climbers. While we were waiting for our turn, muscly men were climbing skillfully in a spiderman fashion to the top of the most challenging walls. All this made me quite nervous I have to say. I couldn’t possibly climb that high. I had never done it before, I didn’t have the muscles and the strength to push my weight up ten times to reach the top. What was I doing here? All of these self-doubts and fears disappeared when our lovely instructor came along. He was very calm and patient and explained everything in great detail. We learned how to put the harness on, how to tie knots so we are safe and how to work in pairs to climb effectively. Climbing as it turned out teaches you some basic life skills like tying a knot in a most bizarre shape (you never know when this skill can come in handy). But more importantly, it teaches you about trust, overcoming your fears and ultimately believing in your abilities. You are stronger than you think you are. My group was the living proof. We started off on a very low horizontal climbing frame that warmed our arm muscles up and then we moved to the real stuff. We were divided in teams of two. In each team we had a belayer and a lead climber. While the lead climber is climbing up, the belayer is holding the ropes ensuring the climber’s safety. If you slip and fall or just decide you’ve had enough, the belayer is your saviour. Belayers control how fast you come down and how long you hang on the rope midair. So make sure you are friends with your belayer. The belayer also applies tension to the rope when the climber is not moving and releases the rope when you need more rope to climb higher. As I learned from my climbing experience, communication is key in climbing (as in any other aspect of life). You need to be able to inform the belayer what you intend to do – coming down or continue climbing. For one hour introductory session we learned a lot of climbing terms and tricks how to climb like the muscly men we observed in the beginning of our experience. Contrary to popular belief, it is the legs and the core that do all the hard work. Not the arms. Go figure! As it turned out, spacing between holds is also crucial to success. The further apart the holds are, the greater the challenge. We faced three walls to put to practice all this newly-acquired climbing knowledge. And we did it, all four of us had a try on all three walls which presented us with stretches and twists we never thought we were capable of doing. 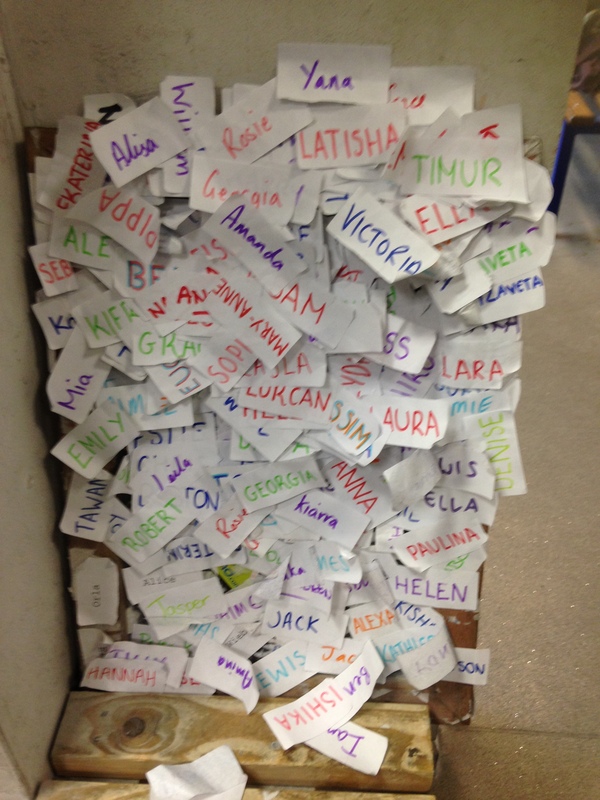 With some expert guidance from the instructor and help from our belayers, we somehow managed to conquer three climbing walls and put our names on the wall of climbers. Not bad for total beginners. I was quite surprised by my own determination. It was very hard, probably one of the hardest things I have ever done, it was sweaty, painful at times and the day after your arms are so sore that you can’t even get dressed by yourself. But you also feel more confident, more capable, lighter and fitter. All the hard work on the wall is worth it for that moment of triumphant ecstasy when you reach the top. The sky is the limit.